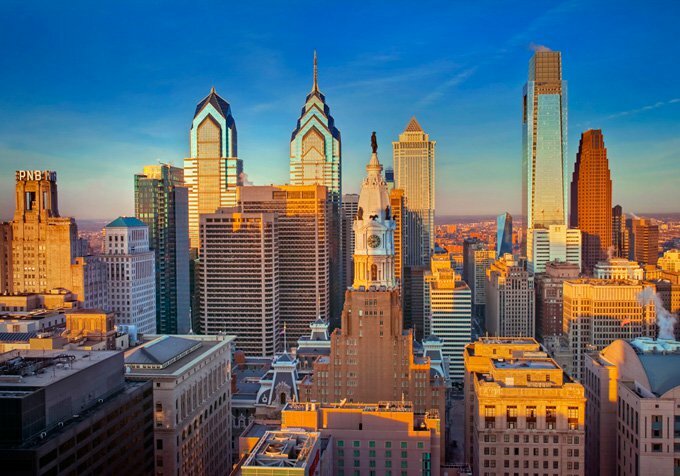 From hundreds of other CEO applicants, Sheryl L. Axelrod, President and CEO of The Axelrod Firm, and 20 other CEOs were accepted into the Goldman Sachs 10,000 Small Businesses Program in Philadelphia. 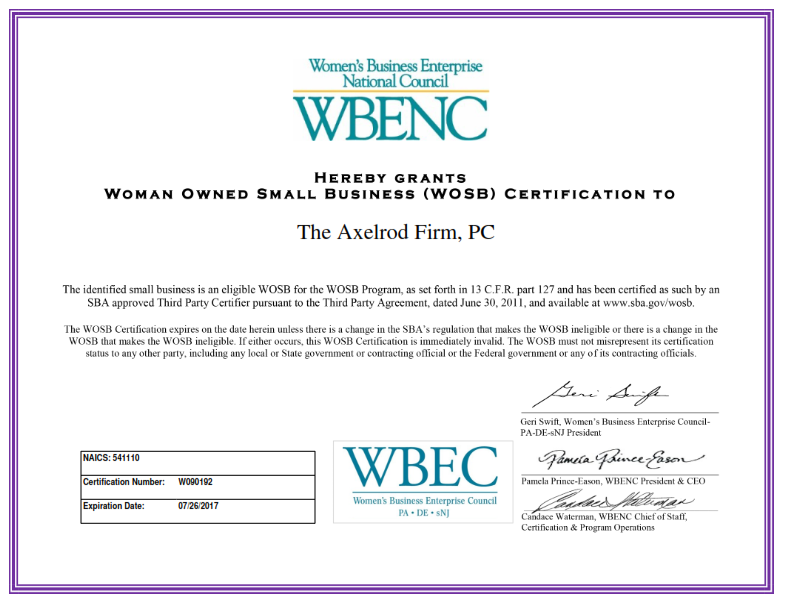 This fifteen-week program with top notch professors from around the country is designed to teach CEOs the best practices to grow their small businesses, which have been fueling the nation’s job creation. 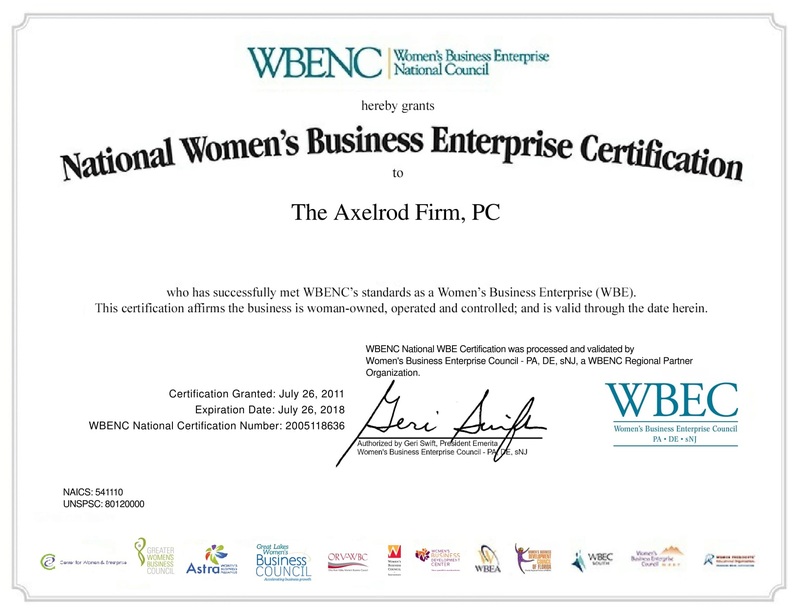 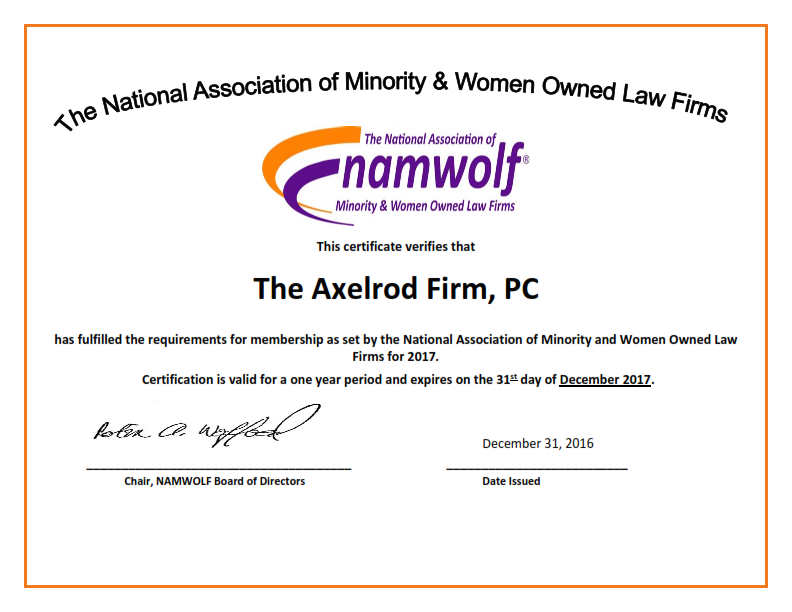 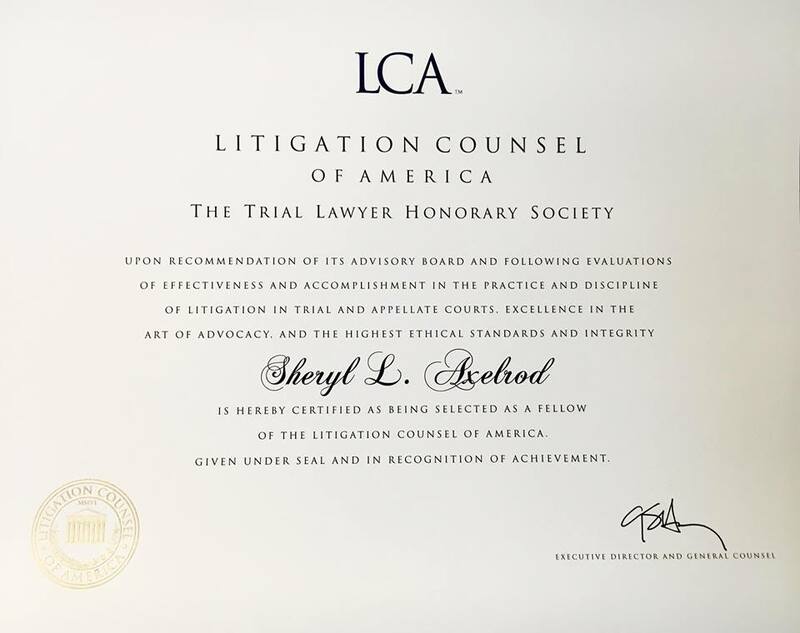 It was during this program that The Axelrod Firm brought in Lisa Savitt as a Partner. 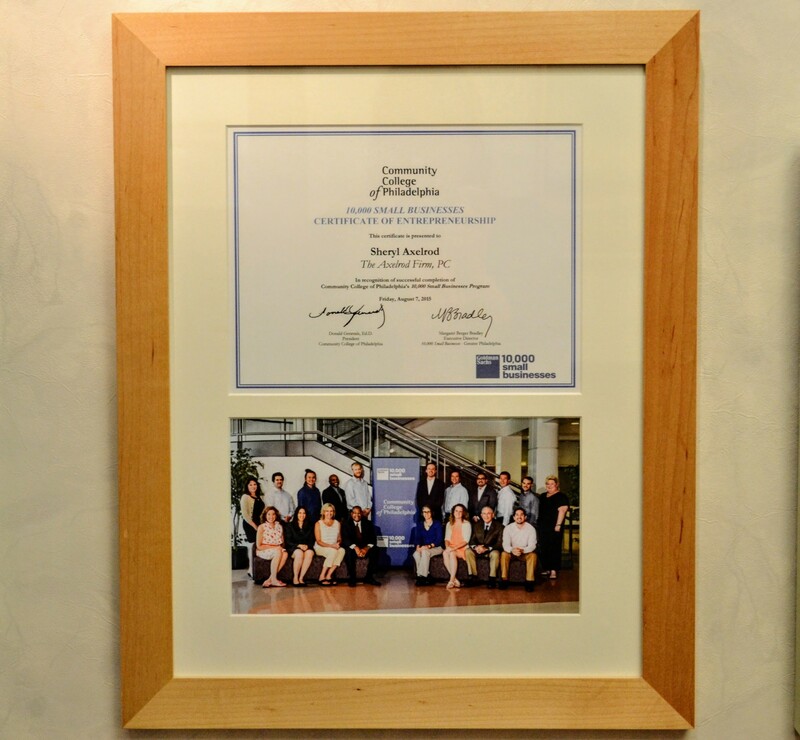 Ms. Axelrod graduated from the program on August 7, 2015, at which time she and her fellow graduates were presented with their 10,000 Small Businesses Certificate of Entrepreneurship (above) by Philadelphia Mayor Michael Nutter, their professors, and Goldman Sachs.